I have been quite intrigued by the intersection of neurosciences and management / leadership lately. It all started on the Organizations Change Practitioners community on LinkedIn. No disrespect for the other groups I’ve joined, but it probably is the one I find the most inspiring amongst the ones I’ve joined. Luc Galoppin, Bill Braun and Jennifer Frahm are making a fantastic job moderating it. 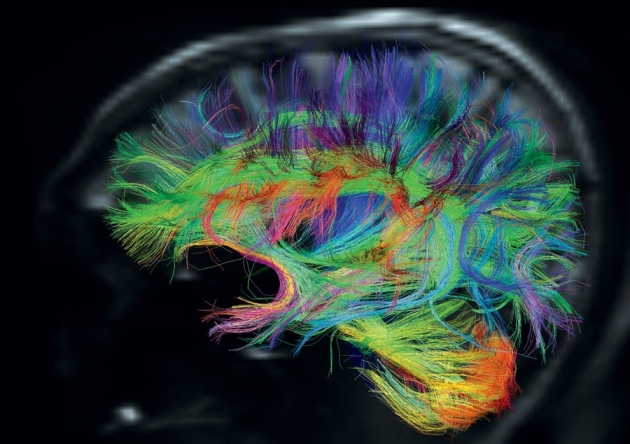 Jen twitted this article about Neuroscience and Change Management that got my attention. A link leading to another, I’ve ended up discovering the SCARF model by David Rock and this has opened my eyes to the topic. I have also been reading and viewing other related materials. This article comes as some sorts of wrap-up of this research work. I have been discussing about Social Business Vs Social Status lately, looking for solutions. Well, Social Neurosciences may just prove to bring the required tools to address this. David Rock is the CEO of Results Coaching Intl, a consulting company based in Australia. He coined the term ‘NeuroLeadership’ and co-founded the NeuroLeadership Institute, a global initiative bringing neuroscientists and leadership experts together to build a new science for leadership development. The massive contribution of people such as David Rock is to bring real neuroscience works and studies to the table of management and leadership. Not only does the author provides popularization of complex studies but he also packages those into an easy to understand (and to apply !) model. In other word : David Rock contributes to transforming management and leadership from business disciplines to proper sciences through actionable principles. This is an invaluable contribution. Haven’t people who’ve been doing organizational change been using science, such as science from psychology? Yes. There is science to psychology. That science proceeds based on using scientific tools to look at behavior itself. What is new is that we are now looking at the origins of behavior in the brain. The SCARF paper (first published in 2008) draws on extensive social neuroscience studies to propose a simple framework. In a nutshell, social neuroscience studies how and which parts of the brain react to different types of stimuli related to social interactions. At the very heart there are two overarching principles. First, our motivation driving social behavior is governed by the will to minimize threat and maximize reward. Second, social needs are treated in much the same way in the brain as the primary needs such as food and water. The first is the reptilian part. It is the primary one and is in charge of survival instinct : eat, sleep, reproduce : as Sue Langley notices in this engaging presentation, this is why life is so simple for crocodiles, they only have three things to think about. What I understood in a nutshell : any stimulus goes through all parts starting from the most primary (reptilian) upward to the most advanced (neo-cortex). There is a simple reason for that : whenever our life is threatened we want to have instant reaction – not going through the analytic mind. The most primary the part of the brain, the less complex information treatment is carried oud but the faster the response. Limbic network process threat and reward cues within a fifth of a second providing you with ongoing non-conscious intuition of what is meaningful to you in your daily life. All models are wrong but some are useful (Georges EP Box). Status is about relative importance to others. Certainty concerns being able to predict the future. Autonomy provides a sense of control over events. Relatedness is a sense of safety with others and Fairness is a perception of fair exchanges between people. The idea is to use this model to design interactions so that to minimize threats and maximise rewards in each of these five domains. In a second step, the objective is to activate reward response to motivate people more effectively using internal rewards. In the context of Knowledge Workers, we know ever since Edward Deci work or more recently Dan Pink or behavioral economist Dan Ariely how intrinsic motivation is of paramount importance. However, so far we didn’t have any scientific explanations of the inner brain mechanisms proving this. Now we do. The objective here is not to go through each of the domain in details – I believe the paper is excellent enough to require rewriting and I won’t recommend you enough to take the 30 minutes required to read it. Rather, the objective is to propose a summary table of each of the domain together with the typical threats and rewards and the related brain area. System 1 operates automatically and quickly, with little or no effort and no sense of voluntary control. System 2 allocates attentions to the effortful mental activities that demand it, including complex computations. The obvious field of application of this model is Leadership in general and Change Management in particular. Hence the NeuroLeadership concept (and the Journal) defined by David Rock. Leadership is about inspiring and motivating people so that they, well, follow the leader. Change Management is part of leadership duty (according to John Kotter it even is its main responsibility). So how do we practically apply these principles to change management ? John Barbuto provides us with an answer in arguably one of the best articles I have ever read on change management, article published on his blog Limbic Zen. A goal of good change management is therefore to orchestrate delivery of change information such that emotional reactions within staff do not subvert the change effort. This goal is promoted in its first instance by delivering information about change that is both powerful (leading to attention) and constructive (providing a path toward positive resolution). (…) Correctly orchestrated, engagement is the first step in the process toward effective change. Obviously with such powerful tools come questions regarding ethics : is it fair to use such tools within a business context with people ignoring these tools are used to influence them ? Well, as David Rock puts it in his article : Successful educators, trainers and facilitators intuitively use the SCARF model. So this is not new. People have been using it for ages – the very people we identify as showing emotional intelligence. Besides, such influencing principles appear in super-classic books such as the How To Influence People and Make Friends by Dale Carnegie from 1937. The main difference here is that these recommendations are now based on observable measurable experiments on human brains that help to explain why so many behaviors observed in business are often not “rational” and how to deal with those. Immanuel Kant said that if you want to find out if something is ethical, try to imagine what would happen if everybody would be doing it. Well, if everybody in a profesionnal context would consider people Status, Certainty, Autonomy, Relatedness and Fairness contexts while engaging with them and would try to minimize threats and maximize rewards, I tend to think that our organizations would somehow benefit from it : better places to work, more engaging and more productive. Cecil – you do flatter us! (the Australians in the mix!). This is yet again, another great piece, thank you. I really admire your thoroughness in research and synthesis. Every time I come to your blog I learn, and for that I am very grateful. Thank you. Thank you Jennifer for igniting my interest in the first place with your article and with the OCM activity. I mentionned the australian community because for me it is a brand new topic and I found it remarkable that many activists on the topic were in Australia. Thanks John for the link. And again : thanks for sharing your thoughts on Limbic Zen : this is a thoughtful blog. Hi Cecil! very interesting article! nice written, lot of references and ressources! Thank you! Hi Diane, thanks for the comment. Glad you find it useful. Hope it won’t stop you from reading the SCARF article. Hello, thank you for hosting this interesting discussion. I have worked with David Rock to introduce the SCARF model to thousands of leaders at my company. I’d like to clarify that it is not intended as a stand-alone model for change management as you would consider the ADKAR model. Rather, SCARF is successfully paired with change management to ensure your approach to communicating and administering change is done in a non-threatening way. Both models are enhanced by the other. Thnak you for your comment. This is an interesting perspective. Of course this model is an oversimplification from experts perspective as per the Georges EP Box comment. Yet, I believe this sheds an interesting light on business leadership topic and helps considering change management initiatives from other angles.